The post is late today. I’m bankrupt. Not financially, but creatively. 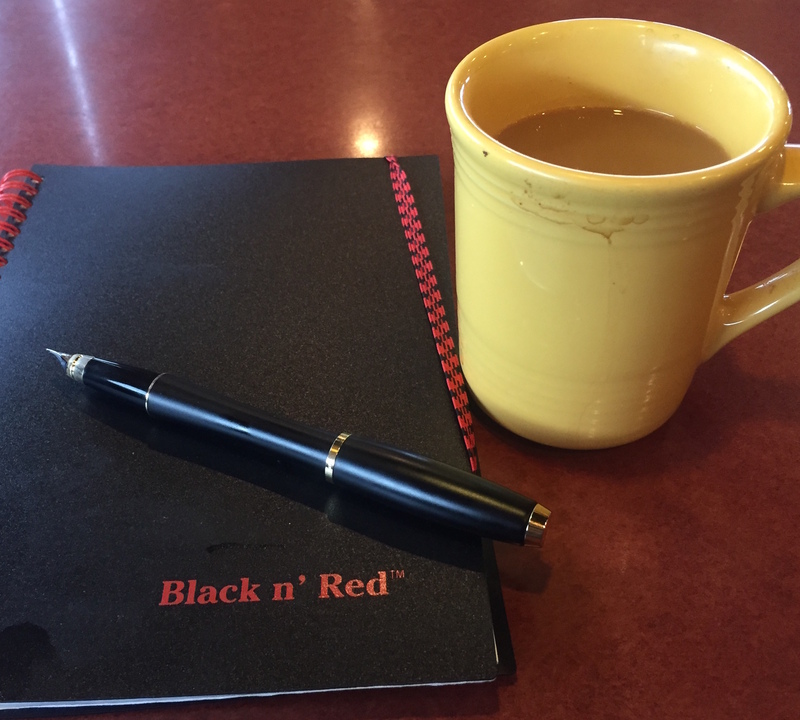 I took the morning to sit in a quiet place and percolate with my trusty fountain pen, strong coffee, and anonymity. Life happens, and I respond. It’s survival instinct. But after fight or flight, I shut down. Also survival instinct. The problem is my world doesn’t allow time for daydreams, so I push on until the well is dry. This morning, like the Ella Henderson song, I went to the river to pray. For me, that means staring into space, listening for a silenced inner voice, moving my hand across a smooth clean page, indulging in the sound of my pen’s nib etching new ideas. Will it work? Don’t know. What can I expect? Doesn’t matter. The important thing is to trust the process. If you want to join me, here’s some mood music.